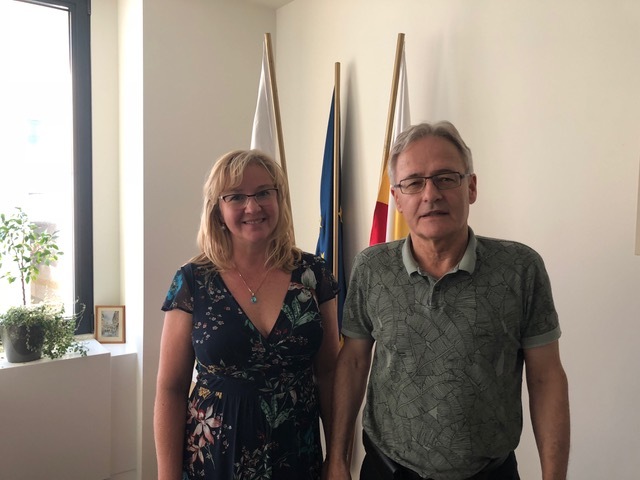 On 18.09.2018 Janusz Kahl, CEO in SPCleantech met the director of the Representation of Malopolska Region in Brussels, Renata Jasiołek. During the meeting, the organizations presented the scope of their activities and discussed joint activities for the future. SPCleantech will participate in the promotion of the Representation Office and the South Polish House, in organizing meetings with members and a wide range of SMEs in Małopolska, organization of joint projects and lobbying in Poland and abroad. Brussels is a melting pot of interests, the center of European Union management, a place where the influences of individual European countries meet and intersect; source of information on political trends, directions of policy development, the latest decisions affecting the lives of all EU citizens. It is here, at the source of European legislation, to make decisions that are important from the point of view of their own interests, to engage in projects and undertakings that make Małopolska an easily recognizable region in the capital of the European Union and thus throughout Europe. 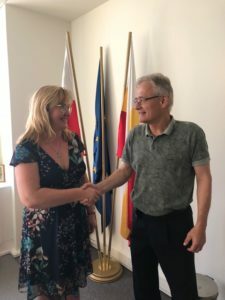 In May 2002, the Representation of Malopolska Region in Brussels was as the first representation of the Polish regions established with a view to promoting the interests of Małopolska in Brussels. It is also intended to support local authorities, non-governmental organizations and private entities in joining international projects financed from EU funds. Previous experience in the field of foreign contacts has shown that the most effective way to acquire foreign partners and funds needed to implement projects is a constant presence in the capital of Europe and creating a network of direct contacts. Staying in constant contact with the European Institutions and the Permanent Representation of the Republic of Poland to the EU, the Representation of the Lesser Poland Region in Brussels acquires and provides information on planned changes in EU legislation, EU programs and current events in Brussels. 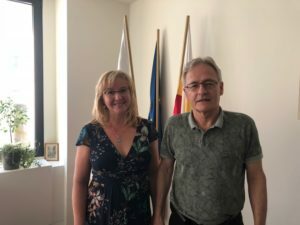 Another initiative in Brussels was the creation of the Southern Poland House in Brussels (DPP), which is a joint representation of three voivodships: Małopolskie, Opolskie and Śląskie. The basis for establishing the DPP was cooperation between individual regions, covering the activities of the Śląskie and Opolskie Voivodships since December 2012 as part of the European Territorial Cooperation Group “Tritia” year and joint work on creating the Strategy for the Development of Southern Poland until 2020 – a document adopted on April 5, 2013 in Krakow through the Lesser Poland and Silesia Voivodships. From January 2018, the Southern Poland House in Brussels has a joint seat. For this reason, on March 21, 2018 in Brussels, a new Agreement was signed regulating the cooperation of the DPP for the following years. The signatories of the Agreement were: Jacek Krupa, Marshal of the Lesser Poland Voivodship, Andrzej Buła, Marshal of the Opolskie Voivodeship, Michał Gramatyka, Deputy Marshal of the Silesian Voivodship. The aim of the DPP’s activity is to build the brand and image of Southern Poland as a strong European macro-region in relation to the European Union institutions. Joint activities will allow for the acquisition and effective use of EU funds, as well as promoting and seeking common interests of the regions associated in the South Polish House in Brussels towards the European Union and other foreign partners. To achieve these goals, the DPP regions must unify actions and initiatives on the European forum; jointly participate in EU projects and events inscribed in the so-called the agenda of the Institutions of the European Union; take part in promotional events in Brussels, Belgium and abroad, as well as conduct a solidary, active and modern promotion and information policy.